This national park on the island of St. John attracts Caribbean specialties such as Bridled Quail-Dove, Green-throated Carib, and Caribbean Elaenia. One of just two national parks outside the 50 states, the core of the Virgin Islands National Park is 5,000 acres donated to the Park Service by Laurance S. Rockefeller in 1956. The park now covers approximately two-thirds of the island. 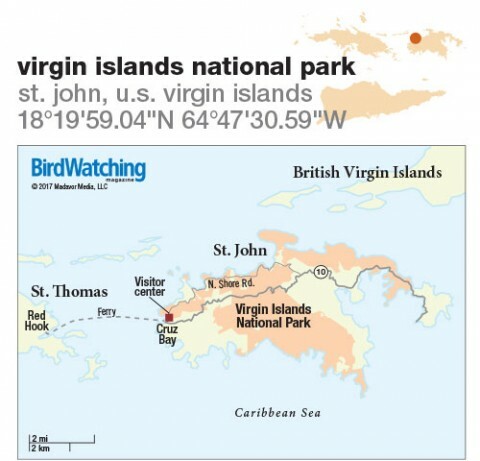 Situated at the convergence of the Greater and Lesser Antilles, St. John has birds from both regions. Despite its small size (20 square miles), it has many habitats, from moist to dry subtropical forest to mangrove forests to salt ponds. 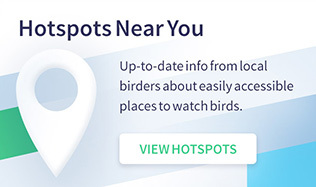 The most productive trails for birding are the Francis Bay, Reef Bay, and Salt Pond Trails. Bridled Quail-Doves may be found foraging in the leaf litter, Smooth-billed Ani feeds in noisy groups in trees, and Bananaquits are everywhere. Even the most popular attraction is good for birding: The beach at Trunk Bay is considered one of the most beautiful in the world, and Magnificent Frigatebirds soar overhead. An American Flamingo showed up last summer. Jason A. Crotty is an attorney from Portland, Oregon. He also wrote about El Yunque National Forest in Puerto Rico, Hotspot Near You No. 247. 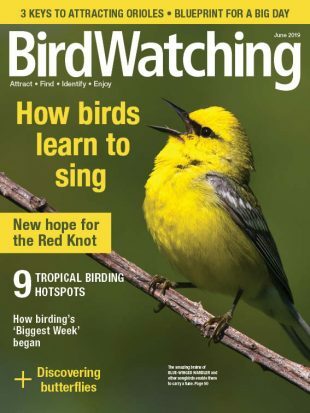 For BirdWatchingDaily.com, he has written about warblers that winter in Puerto Rico, the designation of Elfin-woods Warbler as endangered, bird populations in western Great Lakes forests, and what the greatly expanded Papahanaumokuakea Marine National Monument means for birds. St. John. From neighboring St. Thomas, take the vehicle or passenger ferry to St. John. The visitor center is in Cruz Bay, just a few blocks from the ferry terminal. Rental cars, taxis, and public buses available on St. John. Subtropical moist to dry forest, mangroves, salt ponds, sandy beaches. Centerline and North Shore roads provide access to most birding sites and trailheads. Most trails steep, uneven, or rocky. Visitor center wheelchair-accessible, as are facilities at Trunk and Hawksnest beaches and the Francis Bay Boardwalk. Year-round: White-cheeked Pintail, Magnificent Frigatebird, Brown Booby, Brown Pelican, Great Egret, Little Blue and Green Herons, Common Gallinule, Black-necked Stilt, Royal Tern, Scaly-naped Pigeon, Common Ground-Dove, Bridled Quail-Dove, Zenaida Dove, Smooth-billed Ani, Mangrove Cuckoo, Green-throated Carib, Antillean Crested Hummingbird, Caribbean Elaenia, Gray Kingbird, Pearly-eyed Thrasher, Yellow Warbler, Bananaquit, Black-faced Grassquit, Lesser Antillean Bullfinch. September to April: Blue-winged Teal, Spotted Sandpiper, Lesser Yellowlegs, Northern Waterthrush, Black-and-white Warbler, American Redstart, Northern Parula. June to October: Laughing Gull, Least, Roseate, and Sandwich Terns. Visitor center and gift shop, restrooms, campground, picnic areas, trails, boardwalks, boat moorings. National park. No entrance fee for park, but a $5 fee for beach at Trunk Bay. December to April is the high season, which means crowds and more expensive lodging. St. John also busy when cruise ships stop at Charlotte Amalie on St. Thomas. Drive on the left side of the road in the U.S. Virgin Islands. Virgin Islands National Park, (340) 776-6201. Most birding on St. John is within the park, but this pond surrounded by mangroves near Cruz Bay is worth a look for White-cheeked Pintail, Common Gallinule, Black-necked Stilt, and others. Small observation deck. On St. Thomas. The Discovery Trail can be productive for Brown-throated Parakeet, as well as many birds found on St. John. Also has a world-class beach.